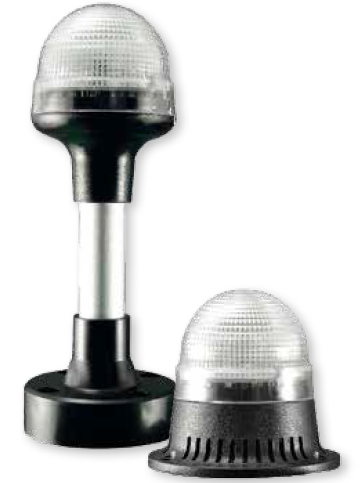 The 180 series multicolor dome signal light has a 60mm (2.4″) diameter and offers the unique multi-color feature allowing two different colors to be displayed from the same lamp. This allows multiple messages to be displayed from the same lamp. The 180 can be mounted directly to a panel through a 22mm hole, or with a base and pole for remote mounting. An audible alarm can also be added.